"One of the delights of life is eating with friends; second to that is talking about eating. And, for an unsurpassed double whammy, there is talking about eating while you are eating with friends. People who like to cook like to talk about food. There are many, many books that I love... too numerous to list, really. But few things make me as happy as a cookbook. I read cookbooks for relaxation, for research, for menu ideas and as a bedtime story. More, even than cookbooks, though, my passion runs deep for books that combine essays with recipes. And the trifecta of all books is a travel essay written by a foodie, that includes recipes. As my eyes take in the words on a page, my mind wanders through events and stories from the author's life, then BAM! Smack in the middle of the plot, a recipe appears! Isn't that great? A little zing of excitement runs through me every time. I love food, I love people who love food. I love to talk about, think about and write about food! Am I scaring you, just a little? Well, I'm not alone. There are thousands of blogs on numerous websites devoted to eaters and eating. There are entire sections of bookstores with shelves full of food essays, written by celebrity chefs, cookbook authors and everyday folks, like you and I. A few years ago, a friend told me about an author. Cheryl told me that I would love this author and she was right. 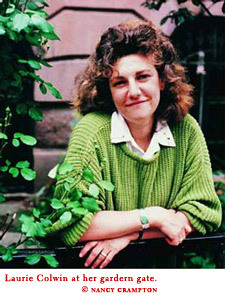 Laurie Colwin wrote quite a few novels, worked as an editor and wrote two, non-fiction collections of essays on her love of food, among other things. 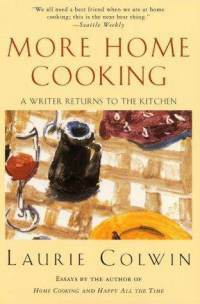 The titles of these are Home Cooking: A Writer in the Kitchen, and More Home Cooking: A Writer Returns to the Kitchen. I love her sense of humor and style of writing. Some of her phrasing and statements struck such a chord with me, I felt like she knew me and I her. She was speaking some of the same things I have thought or said or written. Laurie is a home cook and proud of it. She celebrates happy memories intertwined with favorite meals. And like me, Laurie likes to feed people. As I read more of her book, I was curious to know about her life. I googled her bio and read the information. Among the facts of her illustrious life was my sad discovery that she died suddenly from a heart attack in 1992, at the young age of 48, just before her last two books were published. I felt as though I had lost a cherished friend. It amazes me on a regular basis, that no matter our differences, we are all very similar. By reading the words of someone I never met, I feel a stronger sense of who I am. I realize that we all have the need to feel comfort, to feel safe and to feel loved. For many of us, those feelings tied to our childhoods, shape our adult likes, dislikes, hang-ups and passions. 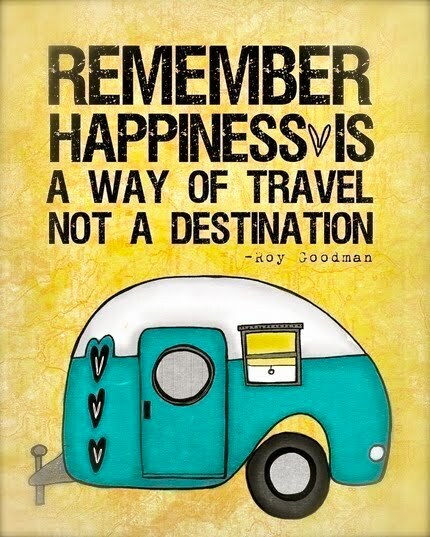 For me, food and eating brings good memories rushing back. The simple act of preparing a family meal for six or one hundred keeps me filled with contentment. Thanks, Laurie, for pointing out the origins of our passion for food! It reinforces my belief in the importance of both great cooks and great eaters! "No one who cooks cooks alone. Even at her most solitary, a cook in the kitchen is surrounded by generations of cooks past, the advice and menus of cooks present, the wisdom of cookbook writers."